I hope someone besides my wife and friends will read it. I hope people will enjoy reading it. I intend to be myself here—this is going to be great because I believe I have a fairly clear head and an entertaining style when I write about technical subjects as I plan to do here. Enjoy! The scary part for me is that I tend to be pretty open and honest, and will probably reveal enough of how I think and feel about things for people to either love me or hate me—I hope they choose love! I hope what I write here will help, especially for the small business owners, web designers, marketers, and advertising agents who take a beating every day just to survive and whom I sincerely believe to be in need of not only my skills and expertise, but also my vision…because honestly, I want all of us to go from surviving to thriving! I think this stuff is important…so I’m hoping you will too! I don’t really feel like I’ve been around for a long time, but I do remember using a computer for the very first time way back in 1985 (it was an Apple IIc and I was in second grade) and realizing that I was born to work with technology. I remember being the first kid to use the Internet at my small-town high school back in 1994, when it was almost all text, yet I knew it would change the way we would find, use, and share information. And now I see 20 years later that while the newspaper industry collapses, radio is so bad that people prefer iPods, people skip commercials with DVRs and Netflix, and almost everyone is online and has a smart phone—that a vast majority of businesses, especially in Northeast Ohio, are still spending tons of money on ads in newspapers, commercial radio, and TV, and those businesses that do have websites have outdated design with no pictures, no interactive features, and they don’t make them easy to view on mobile devices. 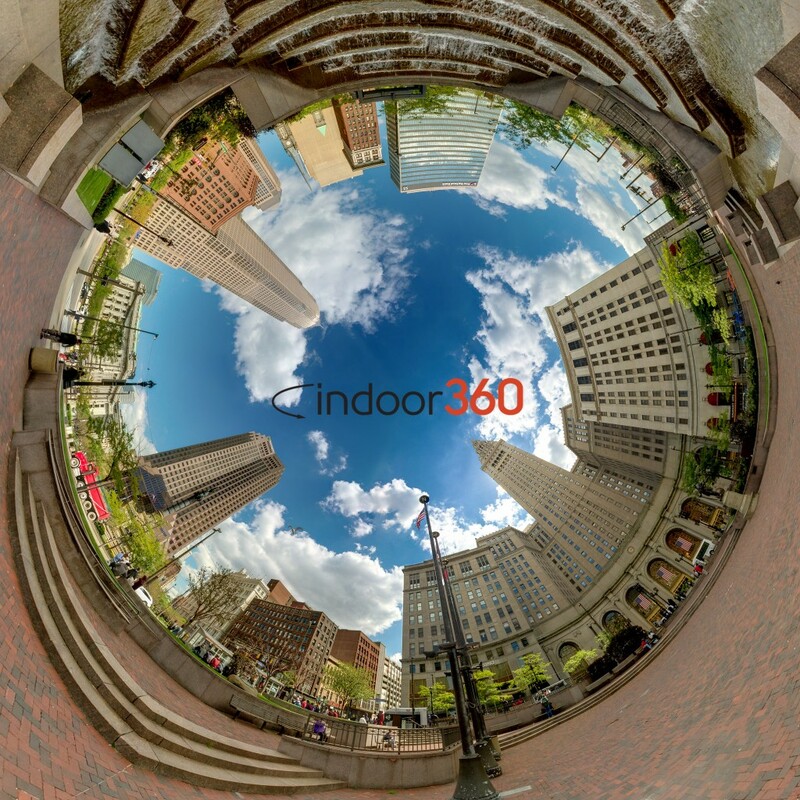 My mission with Indoor360 and this blog is to change all of that! When you have great photos to work with, it’s easy to create a truly gorgeous website, which is what gets prospects and customers onto your website and looking around in the first place. The next step is to make sure the site is informative and stimulating so your customer knows what you have to offer and why it is important to them so that they do something you want them to do about it—sure, this includes text that tells all about you—but online we rely far too much and far too often on text to explain why when we really just need to show them what we’ve been trying to talk about all these years. Everyone knows that a picture is worth a thousand words, but just like we hire marketing copywriters so we don’t share too much or too little with our words, we need to hire professional marketing photographers who will do the same for our pictures. So along with sharing cool technical things that are relevant to doing business in the 21st Century, I plan on sharing some of the more subtle or unknown things that will really help you and your organization say what needs to be said (and nothing more!) so you will rise closer to your marketing and business potential. I hope you enjoy it! Let’s show the world all of what you and Northeast Ohio have to offer!